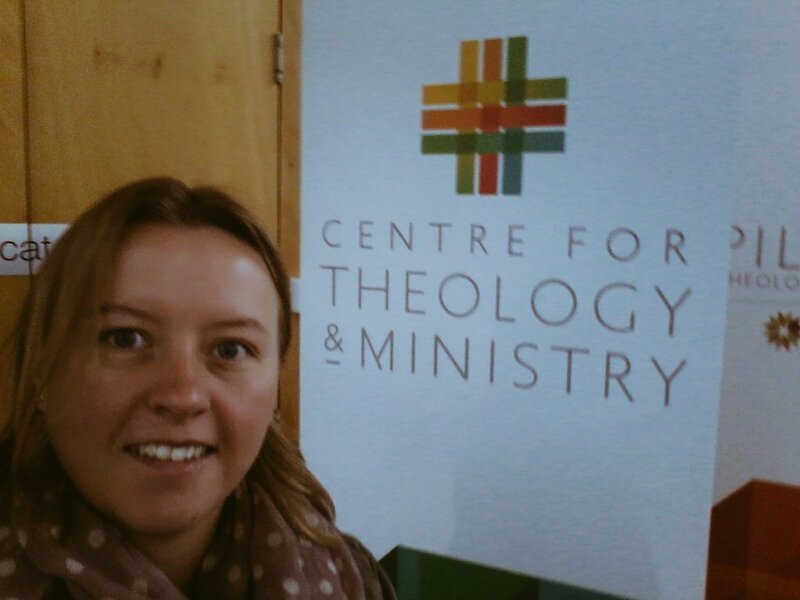 This school holiday, I took the opportunity to get a feel for the academic world of theology in Australia. After a break of six months (or just a bit over) from thinking theologically at that level since my graduation, it felt like the right time to get the brain going again. The coincidence (plan?) 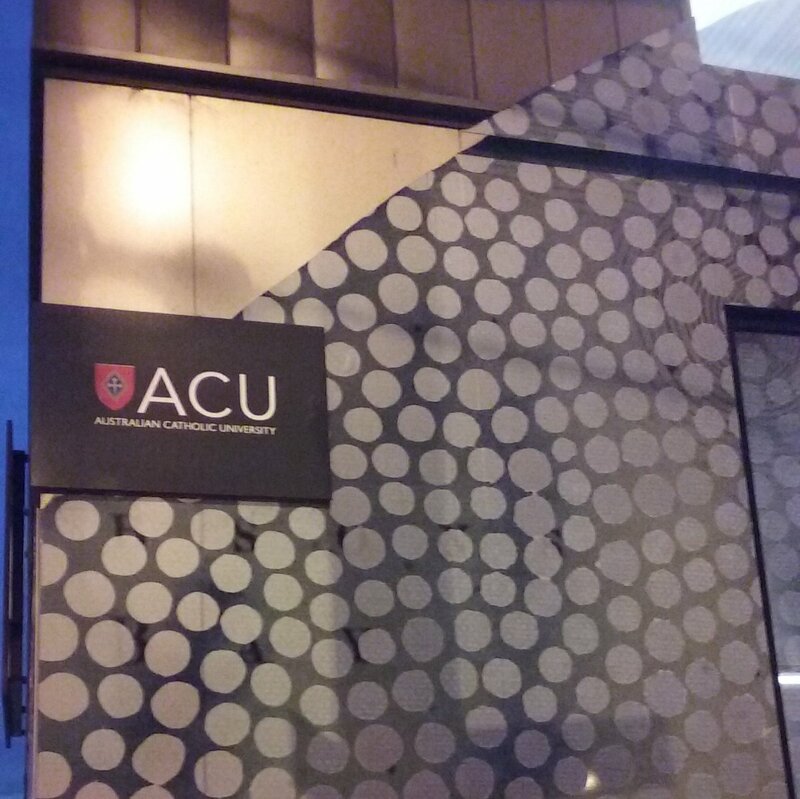 of the ANZATS and ACTA conferences happening in the same week in the same city (Melbourne) was helpful. I thought it would be worthwhile, at least for myself, to collect together a few thoughts and anecdotes from each conference. I was expecting something similar to the SST conferences in the UK, with a variety of theologians from different contexts, and I wasn’t disappointed. The opportunity for ecumenical dialogue was immense. First up, starting with the keynote on Monday morning, was ANZATS, or The Australian and New Zealand Association of Theological Schools, with the theme of Atonement. I should probably say from the outset, that the atonement is not a concept that I’ve felt the need to read about or spill any ink over personally, so I was looking forward to being enlightened on the subject. Serene Jones gave the keynote, weaving her personal context into her thoughts and reflections on Anselm’s atonement theory. She spoke from her experience, giving insights also into the context of her work in America. This was an extremely accessible presentation, and it was unfortunate that I was not able to meet Serene during the conference. As with any conference, I had a series of tricky decisions to make about which of the short papers I attended, but it was made a little easier by the fact that I didn’t have any academic investment in any of the papers – they were all, equally, outside of my academic comfort zone! They were all interesting for one reason or another, with something new to discover, something challenging, or something provocative eliciting a thought process. The best part about the conference, ironically the bit I wasn’t a fan of in the first few conferences I attended, was the networking. I was surprised at how few of the high-profile Australian and New Zealand theologians I was aware of in the UK. I would have thought that I would have known more of them, given increasing globalisation. I met two people who are interested in completing PhDs in the area of theology and music, potentially doubling the number of people with PhDs in the area in Australia (as far as I know, there are only 2 people, and one of them is me)! I was pleased that some of the academics I have had the pleasure of getting to know on twitter sought me out to say hello face-to-face in REAL LIFE. I met Steve Taylor – @emergentkiwi on twitter – with whom I was incredibly slow in making the virtual-real life connection! I also met Helen-Ann Hartley, Bishop of Waikato, NZ, and discovered common ground in the North East of England. Not only are we from the same area (within about 10 miles) but she went to school at the school I taught in before moving to Australia. So we knew some of the same people, and were able to share a few stories. It’s great to cross paths with someone and discover your journeys have already overlapped in some way. From the broad to the narrow, though of course each theologian at ACTA – that is the Australian Catholic Theological Association – represents a different perspective in their own context and experience. However, almost all fall under the broad category of ‘Catholic’ (I don’t like boxes, me). There were around 50 theologians, joined by about 20 biblical scholars (ACBA – replace the Theological with Biblical). The theme of this conference was Gender Justice, which I had not really looked up before attending because I was more keen to network with more theologians and hear some thoughts from the Catholic perspective. So I arrived with a fairly open mind about what I would hear. The keynote was given by Sr Mary John Mananzan from the Philippines. She was sharing a snapshot of the progress of EATWOT – the Ecumenical Association of Third World Theologians. It seems like this has given these women a floor to speak about their experiences, particularly of oppression. However, I began to worry that there was a binary male-female conceptualisation being set up, and hoped this wouldn’t be brought over into the rest of the conference. This was followed by a general serving of wine and cheese, in the process of consuming which I was able to meet a few new faces. Without giving a blow-by-blow account of the papers, I will briefly summarise the best and worst bits. The two papers that were the most relevant to my academic work were on Hildegard of Bingen and Beauty. I also enjoyed hearing a variety of opinions in the combined ACTA and ACBA session on Gender Justice, which allowed space for conversation following three papers. It was interesting to hear different perspectives in an receptive ecumenism ‘fishbowl’, though again I worried that there was the possibility of a binary being set up. Fortunately one of the key themes that came out of the discussion was inclusivity. On the negative side, one paper on sexuality presented two different theological accounts (and the presenter sat on the fence asking for respectful dialogue between the two). The first account was that homosexuality is a sin which came into existence as a result of the fall. The proponent of this view was a Melbourne parish which had released a leaflet which was titled something hopeful (indeed, I think had the word Hope in it) but proceeded to propagate bad science, bad theology and even worse understanding of sexuality. The part that stands out in my memory is one of the twelve ‘causes’ of homosexuality being ‘selfishness’. I’m afraid I couldn’t be silent on this offensive codswallop. I also worry that some of the frameworks being used were taken straight out of first century patriarchal Israel – one paper proposed that women could lead special commissions on parenthood, hospitality, and communication, amongst others. I certainly don’t identify as that sort of stereotypical woman. Having gone with no expectations of the theme, I found myself increasingly frustrated at the need to have conversations around issues that I thought were self-evident. Of course women should be afforded the same opportunities as men. Of course women have as many gifts to offer as men. Of course ‘female’ experience is as diverse as ‘human’ experience. I was particularly pleased to hear Maeve Louise Heaney affirm the importance of acknowledge the particular as a means of knowing the universal. As she said (I can’t remember if she was quoting someone or not, and I am probably paraphrasing), she can only speak as a woman, not for women. With that in mind, as a female theologian who has never encountered direct discrimination based on gender or sexuality, I appreciated hearing the experiences of others. However, given the entrenched stance of the Catholic Church, I am not prepared to expend academic energy in fighting for a cause that is not even an issue in today’s Western secular society.